“A relatively new element in the wedding planning world that is becoming increasingly popular. 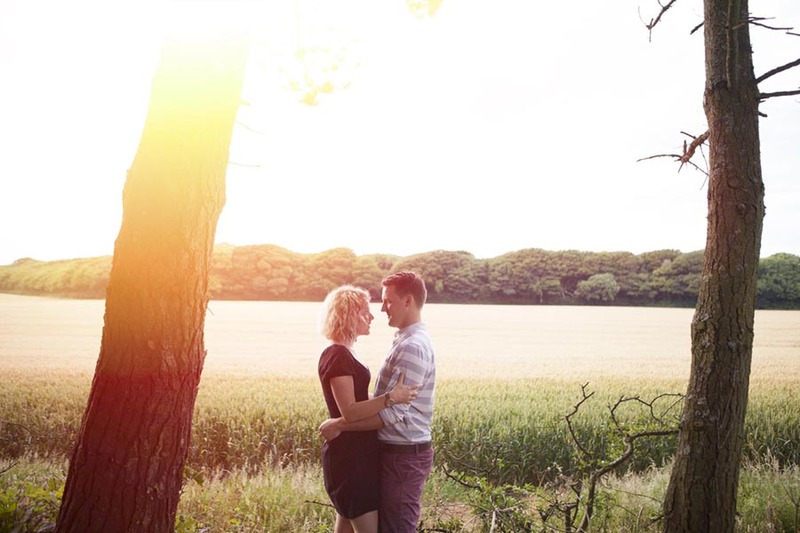 Simon asked us to think of a place that was special to us and we enjoyed spending time at – we chose Tehidy woods and met him there on a sunny Summer evening after work. Not knowing what to expect, he immediately put us at ease and a few minutes in, it felt like we were just talking a walk together. Whilst dodging dog walkers and families, his creative eye led us to some great shoot locations within the woodlands and we had a lot of fun! Neither of us had, had our photograph taken professionally before, so the shoot was a first for us both. It allowed us to ease into feeling comfortable being in front of the camera before our wedding day. As well as this, it gave us the opportunity to get to know our photographer a lot better, we knew we would be spending a lot of time with Simon on the wedding day so we found it really lovely to build this relationship before hand. Jenny & Damian Engagment Shoot by Exposure Photo Agency from Exposure Photo Agency on Vimeo.